One phone call will handle all your beverage dispensing needs. We always pick up the phone! We Have What You Need, When You Need It! High Pressure CO2 is used by Electricians to run wires through conduit at construction sites. Broward Nelson provides Electricians with "One Stop Shopping" for their CO2 Tanks & CO2 Regulators. 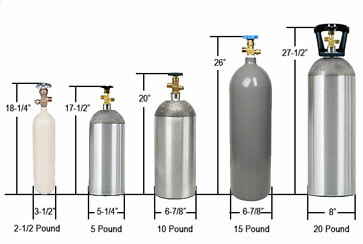 CO2 Gas Refills on Customer Owned Cylinders are available. Broward Nelson Sells and Leases a variety of CO2 Dispensing Equipment. We provide CO2 High Pressure Cylinders to electricians for use in construction and remodeling. Our service is second-to-none and our drivers are friendly and knowledgeable. What makes Broward Nelson different? We believe in "ONE STOP SHOPPING" where one phone call will handle all your CO2 Dispensing needs! Call 800.262.8265 and let us show you how Broward Nelson Fountain Service products, quality, service and delivery can help add dollars to your bottom line! 2018 © Broward Nelson. All rights reserved.